The use of numbers in the Bible is both fascinating and problematical. 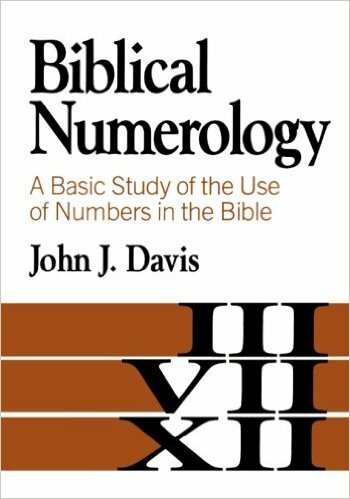 In the first post of this series “Biblical Numbers or Numerology,” we examined John J. Davis’s book Biblical Numerology and learned how biblical numbers were written and what can be learned from this observation. Another important issue concerns the use of large numbers in the Old Testament. For some, the numbers found in the account of the Exodus, or certain battle accounts or census figures, seem impossibly high. David M. Fouts summarizes the problem like this: “The presence of enormous numbers in the military accounts of the Historical Books has been considered by some as a serious threat to the veracity of those accounts” (Fouts, D. M. (2005). Numbers, Large Numbers. In B. T. Arnold & H. G. M. Williamson (Eds. 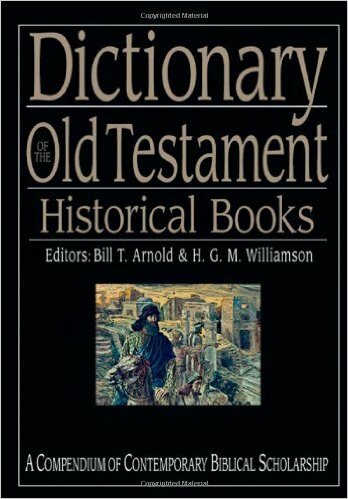 ), Dictionary of the Old Testament: historical books (p. 750). Downers Grove, IL: InterVarsity Press). Do the large numbers in the Old Testament render those accounts untrustworthy, as some scholars claim? If not (and I fall into this camp), how are we to understand these large numbers? Should we take them literally, or is there another way that the ancients intended them to be understood? This post will examine these questions using the insights provided by Davis and Fouts. Fouts’s article on large numbers in the Old Testament can be found in The IVP Dictionary of Old Testament Historical Books. The ages of the antediluvian (preflood) patriarchs in Genesis 5 has caused some to regard the account as mythical. The censuses in Numbers 1 and 26 of the fighting men of Israel (603,550 and 601,730 respectively) suggests an overall population between 2 and 3 million. Some believe this is impossibly large for reasons we will enumerate below. Judges 12:6 states that Jephthah slaughtered 42,000 from the tribe of Ephraim. The tribe of Ephraim only numbered 32,500 (see Num. 26) upon entering Canaan. Even allowing a couple of centuries for growth, some scholars think this number is too large. 1 Kgs. 20:30 states that 27,000 Syrians fled to Aphek and were killed when a wall fell on them. This is a mighty big wall, of which no evidence has as yet been found! The Census by David recorded in 2 Samuel 24 and 1 Chronicles 21. Even though the numbers are large, they are not impossible. The problem here is that the numbers are different, even though they speak of the same census! The above is only a sampling of the problems caused by large numbers in the Old Testament. For other examples I would refer you to Fouts, A Defense of the Hyperbolic Interpretation of Large Numbers in the Old Testament, along with Davis’s book, and Fouts’s article in Dictionary of the Old Testament: Historical Books, cited above. It is not possible to comment on each of the texts above but in the rest of this post I will note both Davis’s and Fouts’s arguments, as well as presenting my own thoughts on how some of the problems of large numbers might be resolved. The biggest question involves the meaning of the Hebrew word ʾelep. While this word normally means “one thousand,” it can also be translated “family” or “group” (e.g., Judg. 6:15). Other translations offered by scholars include “captains,” or “tents.” The rationale behind these translations is that if a passage mentions 3 ʾeleps of soldiers, this could mean “3 contingents” of soldiers (maybe consisting of 10-50 men), or “3 captains plus the soldiers,” as opposed to “3 thousand” soldiers. This would be an interesting solution, but Davis, as well as other scholars, has shown that this suggestion has a number of inconsistencies. For example, Davis notes, that to say Gideon’s army started with 32 captains, was whittled down to 10 captains when 22 left out of fear, makes nonsense of the passage, especially when Judges 7:6 indicates that 300 remained after the test designed by God (Davis, p. 71). Clearly ʾelep means “thousand,” not “captain.” The same is true regarding the idea of ʾelep meaning a contingent of soldiers. For example, the censuses in Numbers 1 and 26 breaks the count down not only into thousands, but also into hundreds. If “hundred” is literal, then it only makes sense that “thousand” is as well. However, that hasn’t stopped some from coming up with other creative suggestions, none of which has received the support of scholars (see Davis, pp. 67-73 for more info). Due to space, I will only look at Davis’s treatment of one of the above numerical problems–the censuses in Numbers. 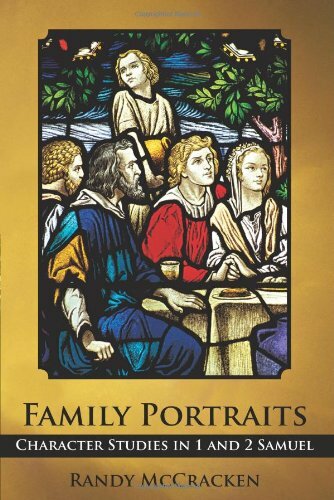 Davis states, “It is the view of this writer that numbers presented in the historical narratives describing the exodus from Egypt are both reliable and credible” (p. 74). He notes four arguments made by those who are skeptical of the miraculous in regards to the exodus. 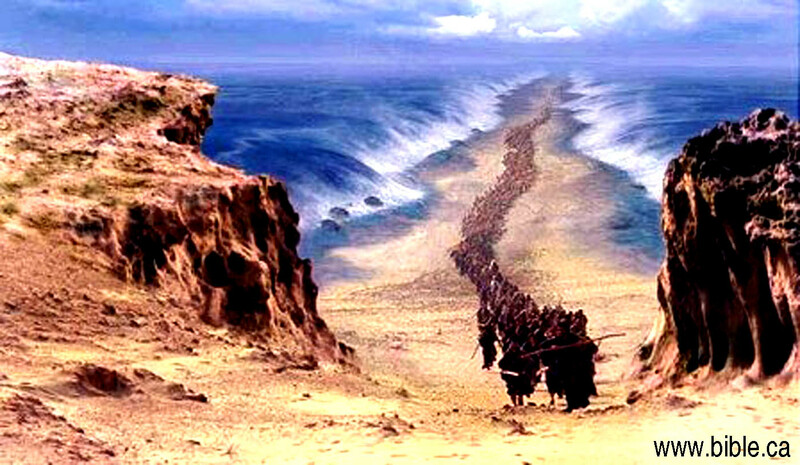 It would be impossible for that many people to cross the Red Sea in the short time indicated. Davis responds that Robinson (Researches in Palestine) has showed that such a crossing was possible, even if it involved two million people. Robinson reasons that if the Israelites walked 1000 abreast (a width of 1/2 mile would be required) and were at least 2000 in depth (a length at least two miles long), there was sufficient time for the entire group to cross (for the full argument see p. 59). The Sinai peninsula would have been incapable of supporting that many people. Davis responds that, “This argument completely overlooks the supernatural provisions of food and water” (p. 60). He suggests that God may also have provided extra rainfall, using Psalm 68:7-9 as possible evidence of this. He notes that according to Albright, the Israelites developed the art of cistern construction in the land. He suggests they may have learned this ability in the wilderness and used it to collect rainwater. Although some of his arguments are speculative, they are possible. It would have been impossible for Moses to judge two million people. Davis notes that the Scripture itself debunks this objection (Exod. 18:13-22). If Israel was a large nation, the Edomites could not have prevented them from entering Edom, and the Israelites would not have had difficulty conquering Canaan. Davis quotes John Rea who observes that “the Edomites were a fairly numerous and strong people at the time,” and that God had commanded Israel not to contend with the Edomites (pp. 62-63). Regarding the conquest of Canaan, Davis’s argument is more involved. He offers 3 arguments: 1) It is statistically possible for a large number of Israelites and Canaanites to occupy the land, and one should not depend on modern day density statistics as a guideline for ancient populations (pp. 64-65). 2)”It does not follow that because Israel numbered some two million people they were militarily superior” (p. 65). 3) Just because Israel had a fighting force of 600,000 “does not mean that all the men would or could have been used in a given battle” (p. 66). Except for a passage such as 1 Sam. 6:19, where a textual error has crept in, Davis is convinced that the large Old Testament numbers are not only realistic, but they reflect the size of other ancient armies of the time. Therefore he concludes, “In most cases the context provides sufficient data to demonstrate the reality of such numbers” (p. 91). Deuteronomy 7:1, 7 states that Israel was the least of all peoples, numerically speaking. He argues that if the number of Israelites was literally two-three million, and one includes the seven Canaanite nations mentioned here, it would put the population of Canaan somewhere around 21 million–a figure which is clearly absurd. Referring to archaeological data, Fouts contends that, “Demographic analysis of the land of Palestine over three millennia has determined that at no time did the land contain a population necessary to sustain taking the census figures of Numbers 1, 26 and 2 Samuel 24/1 Chronicles 21 at face value” (A Defense of Hyperbolic Interpretation, p. 383). This view, “has the support of numerous ancient Near Eastern parallels of material of similar genre that exhibit the same numerical hyperbole. It also has the benefit of allowing the texts to continue to bear witness to actual historical events, albeit couched in literary terms intended to convey to the reader the greatness and glory of God” (Fouts, Numbers, Large Numbers, Dictionary of the Old Testament: Historical Books p. 752). “Scripture is similar to other annalistic inscriptional literature in that the historical narratives of the OT often employ figurative language in the near environment of the large numbers, a fact that may support the thesis that the large numbers themselves are hyperbolic” (A Defense of Hyperbolic Interpretation, p. 386). The purpose for the hyperbole is to exalt the Lord, or king, mentioned in the context. This same purpose is visible in other ANE documents. Fouts conclusion is: “…the large numbers have often been a stumbling block for accepting the Biblical accounts as legitimate records of history. If the numbers are simply reflective of a rhetorical device common in ancient Near Eastern literature, however, one may no longer question the integrity of the record by use of this argument. The large numbers are often simply figures of speech employed to magnify King Yahweh, King David, or others in a theologically-based historiographical narrative” (A Defense of Hyperbolic Interpretation, p. 387). I believe that both scholars have points worth considering. On the one hand, we need to become more sensitive to the fact that the Old Testament writers used hyperbole. Hyperbole is a natural function of language and it can involve the use of numbers as well. “I’ve said this a hundred times,” would not be taken literally if I made this statement to my friends. They would automatically understand that I am emphasizing how often I have made a certain statement. Fouts demonstrates that this was a common practice in the ANE. He also notes that figurative statements such as “the sand on the shore,” sometimes stand in the same context with large numbers. This should at least give us pause when interpreting large numbers. 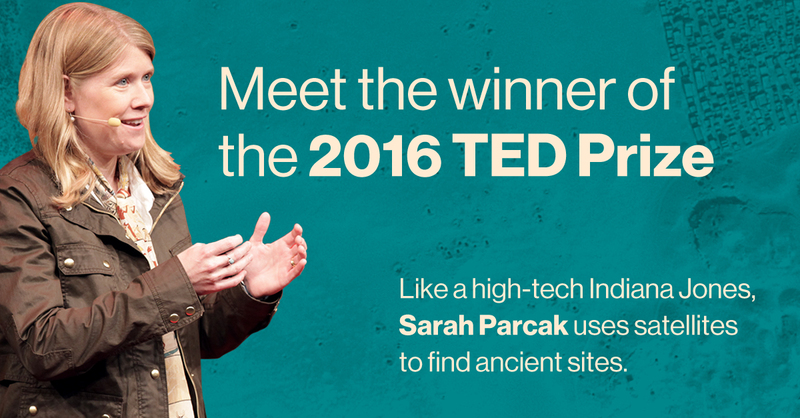 Dr. Sarah Parcak’s satellite method may transform the field of archaeology. On the other hand, archaeology is still in its infancy and to take its conclusions as irrefutable dogma is unwise. Until recently, it has seemed impossible to consider that large numbers of populations or armies could be taken literally when occurring in the context of the ANE. However, the research of Dr. Sarah Parcak in what is becoming known as “Space Archaeology,” is changing our concept of the ancient world. Dr. Parcak uses infrared satellite technology to discover ancient cities, pyramids, and neighborhoods, still buried below the surface of the ground. To watch a brief video of Dr. Parcak speaking about her research click here and here. In a full length documentary entitled “Egypt’s Lost Cities,” the narrator notes that Dr. Parcak’s research has led to the discovery of 1250 new sites in Egypt. She states that this discovery “suggests populations far larger than previously imagined” (view Egypt’s Lost Cities, to find this statement click to 1:07:20). If ancient Egypt’s population is far greater than previously imagined, might this also be the case for ancient Canaan, and the Israelites? Parcak’s findings may mean that Davis’s literal approach to the large numbers in the Old Testament will receive a new legitimation. Thanks, Randy. I enjoyed this. What do you think about 1 Kings 6.1? This is one that I’ve wrestled with Spencer. I do believe that the date of the Exodus is earlier (15th cent. BC), so basically I think the figure is accurate. However, 480 = 12×40 sure looks like it could have some symbolic meaning behind it. In my opinion (and that’s all it is, for what it’s worth), the 480 may be a rounded off figure (therefore, close to the actual years) with a symbolic meaning embedded in it. I’m definitely open to other thoughts however. Thanks for asking. I mentioned Fouts’ view in 1995 in a book I edited (Leaving the Fold: Testimonies of Former Fundamentalists https://amzn.com/w/3JQ7OLD5KDHWQ ), and in 1997 Fouts mentioned my questions in his paper. Thanks for your thoughts Edward. I do agree that there is hyperbole in the OT, but Parcak’s research may show that numbers are higher than previously thought. Regarding inerrancy, I will be doing a series in the near future based on the book “Five Views on Biblical Inerrancy.” I will look at each position and the strengths and weaknesses of each. There is only one rational conclusion, to abandon the word “inerrant.” It has served merely as an Evangelical shibboleth, a code word to get into the Evangelical club. But it makes no rational sense to declare any written documents “without error,” as if anyone could know for sure what one was even talking about when making such a declaration, because it boils down to, “my interpretation of such and such writings is the only true one,” as if anyone will ever be able to prove such a thing. Indeed, of what use it is to declare that certain writings are without error if you cannot also assure yourself and everyone else that your interpretation and understanding of those writings is also without error? I suggest you study the examples from Scripture that I listed at the sites above. They provide enough internal evidence to convince anyone except those willing to commit intellectual suicide. The numbers in the census taken by Moses create problems. He numbered 603,550 males of fighting age (Num. 2:32), but only 22,273 firstborn males over a month old (Num. 3:43). Without counting males below fighting age, that gives a whopping 27 males for every firstborn! Certainly something is going on in these numbers that we don’t understand. I agree David. There are certainly some mysteries that need to be solved regarding how ancient Israel used numbers. Thanks for your comment.